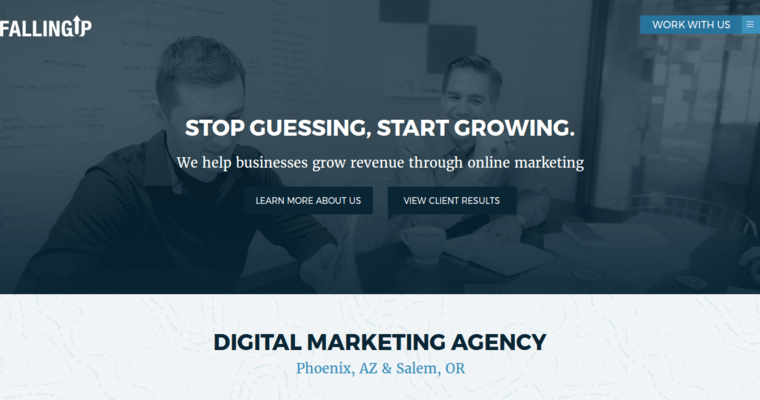 Falling Up Media is an Arizona-based SEO company formed by two childhood friends. 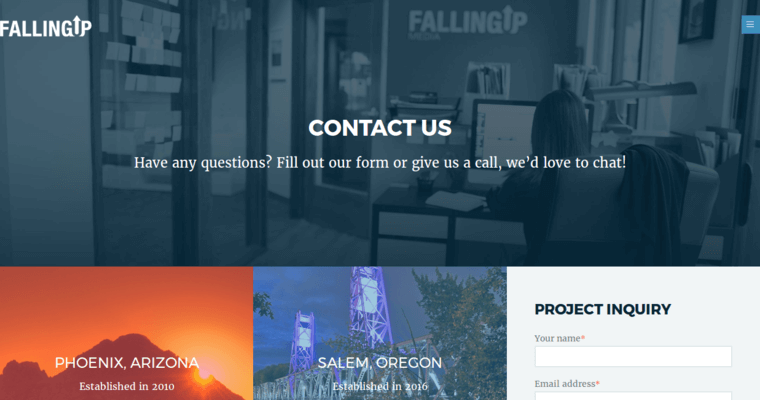 Falling Up takes an approach that focuses on its clients' return on investment, to ensure that each dollar spent by its clients generates interaction with would-be customers. The company offers a number of marketing services, including search engine optimization, pay per click advertising, content marketing and email marketing, to provide their clients with a diverse array of strategies for promoting their brands. 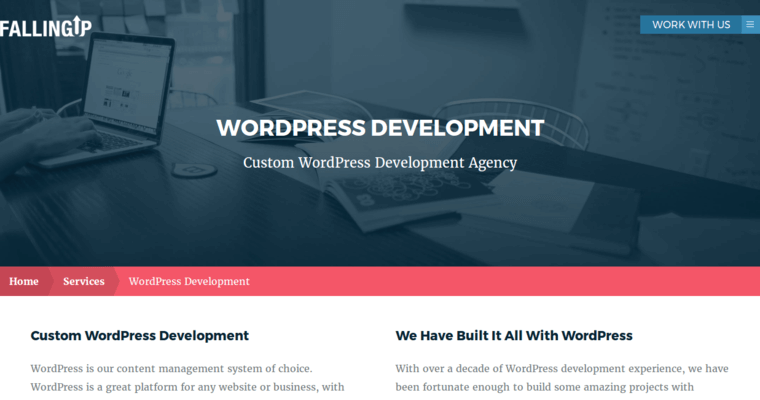 The company also offers services designed to create and maintain a digital presence, including website design, WordPress development, and landing page design. Falling Up approaches all of these with the perspective of not only making their clients look good but also emphasizing their clients' brand identities.